As someone who has been playing Pokemon games for over a decade I can confidently say that I don't like Pokemon. I admit that it has an appeal to young children (I did say I played it for a decade) as it embraces the child's inner kleptomania and teaches children about capitalism the hard way. My problem is the games themselves are relatively insubstantial. Battles don't have any form of strategy to them, the decision making that other RPG's have that Pokemon lacks and many more. For anyone who wasn't under twelve at the time, the trading card game must have come off as a by-product of the game. And naturally a video game of the trading card game that was based of the video game was created! But was it any good? To start I wish to debunk a few myths. Pokemon TCG, disregarding the branding of the product is a very strategic game. While I've been playing the video games for a long time, I've been playing the TCG even longer to where I've participated in the world championships three times. The fact that there have been twice as many Trading Card Championships as there have Video Game Championships shows the amount of skill required to play the game. Being a Gameboy Colour game, this makes use of the first three sets in the series: Base Set, Jungle and Fossil, which comprise the original generation of Pokemon. It may not seem like a lot but this is over two hundred cards so it's not like there's no variety available. The game starts with a tutorial, as all games do, which teaches you the rules of the game, some hints and tips and even basic strategies on how to win. The game then has your typical eight gyms that can be accessed in any order with a heap of grunts to battle before taking on that resident gym leader. Winning against the grunts will give you a booster pack that contains more cards to organise your deck. In fact this is possibly one of the very first uses of cards as means of a weapon. This would later be used in such games as the Baten Kaitos series, Phantasy Star Online 3 and Phantom Dust. It's easy to simply take the game mechanics of a trading card game and translate them to a video game. Do you ever wonder why so many Yu-Gi-Oh games get released? Because they are so easy to make. What makes this game unique is the amount of time taken on the presentation. 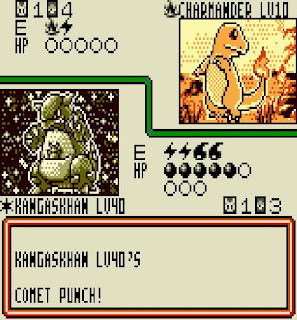 For one thing this game is one of the few games to take advantage of the Game Boy Colour's colour palette as it makes each card portrait vibrant and reflective of the original card. There is just as much care gone into the sprites as each gym contains unique sprites for each gym leader and they are surprisingly memorable for how small a part they play in the game. and this is nothing to say of the games excellent music, which is up there with Shantae as the best music produced with the Game Boy's sound chip. Pokemon has had a variety of spin offs the same way as all Nintendo's franchises have. 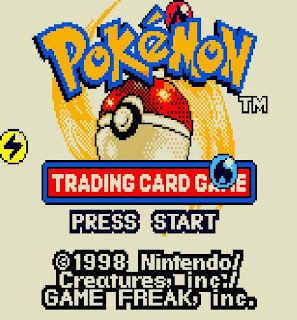 Whether it's pinball, rogue-like, or whatever My Pokemon Ranch is supposed to be... Pokemon TCG feels like the only game out of all of these that actually usurps the main series into something that puts it beyond every single other Pokemon spin-off: a fun video game.